Simplify the migration from WordPress to Shopify, Squarespace and other platforms by having a complete list of all WordPress URLs (links), titles, IDs and Yoast SEO meta data in a CSV file. It is also very useful during SEO audit and analysis. New in 1.1.0: Export WordPress SEO (Yoast SEO) meta titles, descriptions and focus keywords. 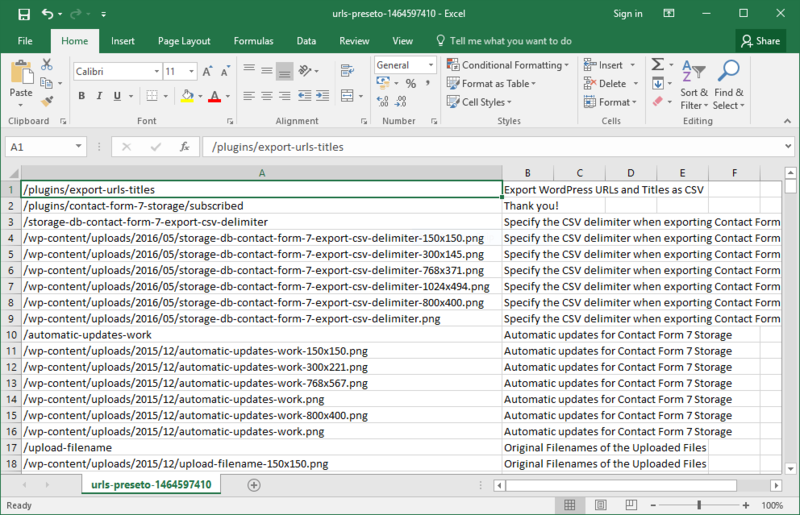 Specify the CSV delimiter for better compatibility with Excel. 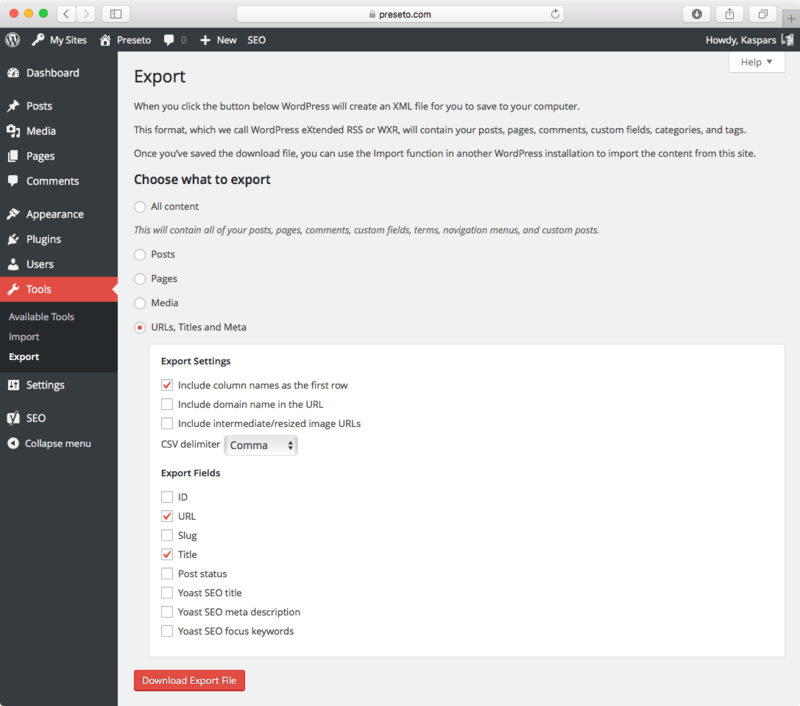 The URL and title export tool under “Tools → Export” in WordPress dashboard. Select “Plugins → Add New” from the menu in your WordPress dashboard. Visit “Tools → Export”, select “URLs, Titles and Meta” and click “Download Export File”. You can enable free automatic updates by installing the Envato Market plugin. New feature: export IDs, slugs and Yoast SEO titles, meta description and focus keywords. New feature: specify the CSV delimiter before running the export. Add information about the automatic updates.